This entry was posted on April 16, 2015 by Tinteán Editorial Team/EMcK, in History, Irish Soldiers at Gallipoli, News and tagged Gallipoli campaign, Gallipoli. Irish Soldiers at Gallipoli, history. Bookmark the permalink. ”Following the failure of the British and French navies to force the Dardanelles and open up an all-year sea route to Russia, the Allies committed 75,000 soldiers to a ground war in an attempt to neutralise the Turkish forts guarding the Dardanelles by attacking them from the landward side. 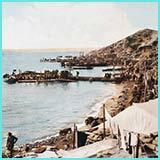 While the Australian and New Zealand Army Corps (ANZAC) landed on the Aegean coast half way up the peninsula, Britain’s 29th Division was landed at a series of beaches at Cape Helles at the foot of the peninsula. Among the British Army troops at Helles were Irish regulars of the Dublin Fusiliers, Munster Fusiliers and Inniskilling Fusiliers. 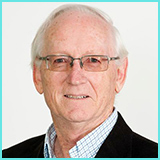 This episode looks at the landing on 25 April 1915 and, in particular, the slaughter of the Dublins and Munsters at V Beach” – Jeff Kildea. 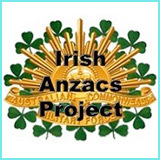 Click here to listen to episode 2 of The Irish at Gallipoli.